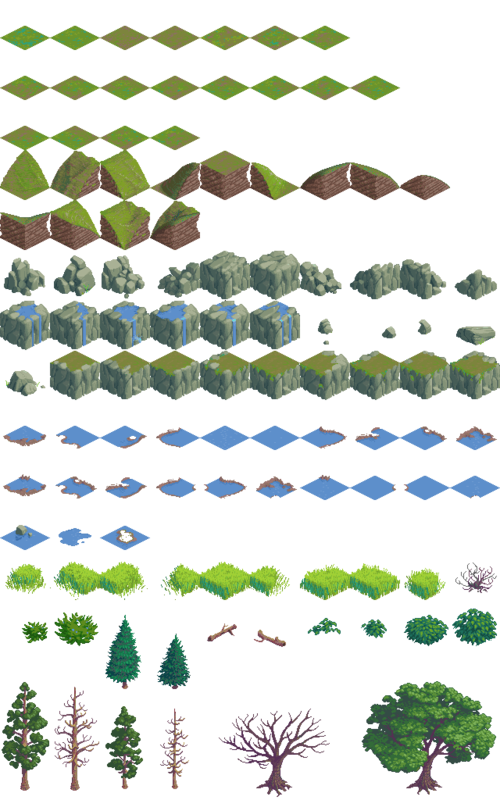 64 x 64 isometric pixel art tileset. Use, add to, or modify as you see fit - credit is appreciated. Awesome, thanks for posting ! Very nice art ! That preview image looks amazing !. This is really great! Beautiful artwork and invisible seams! Really very nice, loads of usefull layouts possible. I think someone is gonna fall in love with this, I can tell. It doesn't use all the tiles yet so the randomly generated landscape isn't as rich as your example picture. Thanks for the great art! Just wanted to add that THAT processing sketch of binarymillenium was what brought my attention t o OpenGameArt. Thanks to everybody involved! Sorry to bring up this old post but im trying to use this tileset as an isometric tileset within Tiled and having issues, Any suggestions? Depends on what issues you're having. Not having attempted it myself, I'd take a look at how tiled expects tiles to be arranged and see if the arrangement needs to be changed in some way. If you figure anything out, let me know. If you come up with an arrangement that works, we can post it here. Maybe I'm just a noob, and I'm also a noob, but how do you download this stuff? It just takes me to a picture online of everything, which I don't really know how to use. how can i double favorite this? SUPER-MEGA-AWESOME!!! I'll use it for my game! This might seem like a noobish question, but what's the bet technique for cutting the sprites into individual files? I prefer to use the imagemagick utilities. I'm posting with my phone at the moment so I can't conveniently figure out the exact command line though. Also, depending on the engine you're using, sometimes you can just load the whole image and split it in your program. Very nice... these are too good to pass up! Thanks for the submission. Has anyone made a working TSX for this tile set? Alternatively, sultanofswing, is your map editor publicly available? width and height you choose when creating the map. you should pick the full tile image size in the New Tileset dialog). So for this tileset, when creating your new map, set the tile width to 64 and tile height to 32. When you create your new tile set, set the height and width both to 64. Which psoftware did you used for this nice preview? 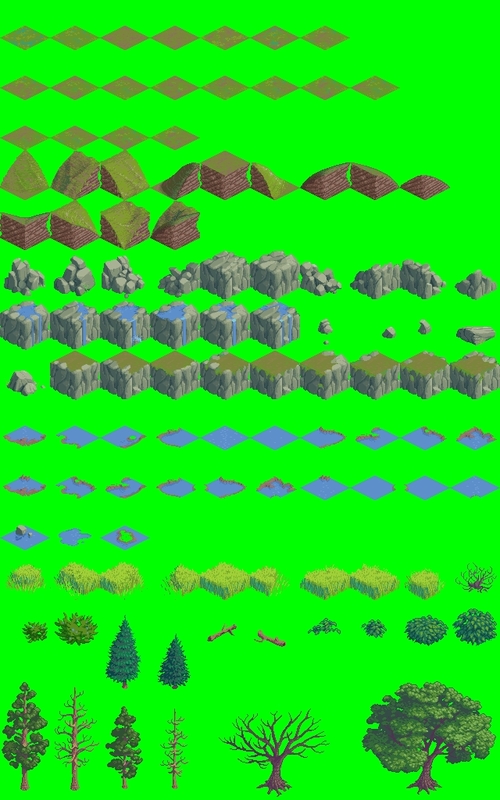 For Tiled editor, you need to create a new map with 64x32 tiles, and then create a new tileset (e.g. 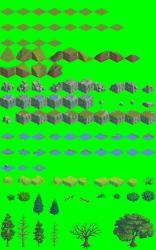 TMX) from this image with 64x64 tiles. No offset, no padding, no spacing. Works great for me.